As one of the greatest investors in the hedge fund industry, Stan Druckenmiller‘s opinion is highly-valued among everybody who has even the smallest affiliation with investing. In a recent interview at the New York Times’ Dealbook Conference, Druckenmiller said that the current situation with low interest rates is dangerous for the economy and individual companies, which engage in buying stock at high values instead of investing cheap capital into long-term projects. The manager of Duquesne Capital also presented his take on several companies and in this article we are going to take a closer look at what he said. 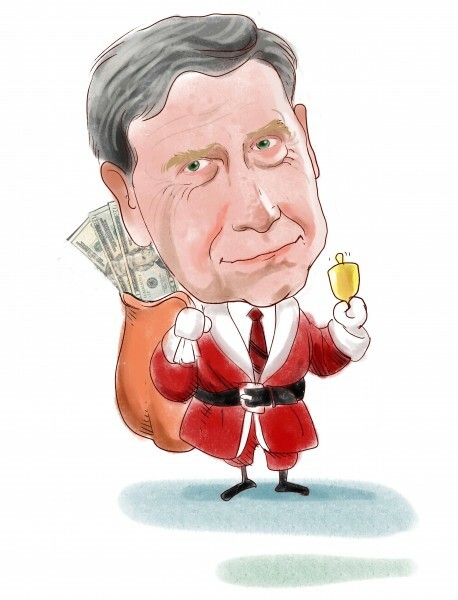 Druckenmiller is one of around 40 billionaire hedge fund managers that we track. Overall, our database contains over 730 funds, managed by some of the best investors, and we analyze their quarterly 13F filings in order to identify profitable opportunities in the stock market. Our focus is the 15 most popular small-caps that the funds from our database are collectively bullish on and this approach has helped us generate returns of over 102% in the last three-plus years, compared to 49% gains for the S&P 500 (see more details here). Druckenmiller said that he is currently net neutral and prefers to invest in high-growth companies that will perform strongly over the long-term with low nominal growth. “I could see myself getting very bearish. I can’t really see myself getting very bullish. So I am kind of on the sidelines in equities in terms of exposure,” the investor said. One of the companies that Druckenmiller is not very thrilled about is International Business Machines Corp. (NYSE:IBM). The investor thinks that the company is focusing too much on beating the estimates in its quarterly results, which has led to a decrease in its R&D spending, which has shrunk as a percentage of sales in the last several years. Moreover, competition from companies like Amazon.com, Inc. (NASDAQ:AMZN) and Palantir is also putting more pressure on International Business Machines Corp. (NYSE:IBM). “They bought back $43 billion in stock at an average price of $189 […] I don’t know how you buy something at $189 and its owner at $42. That’s not my kind of return to shareholders,” Druckenmiller said. Still, International Business Machines Corp. (NYSE:IBM) is a popular company among the funds that we track, with 59 of them reporting long stakes as of the end of June. Warren Buffett is a long-term shareholder of IBM, owning 79.57 million shares on June 30. On the other hand, Druckenmiller loves Amazon, which has missed estimates nine times in 19 quarters, as it is increasing its R&D spending in percentage-of-sales terms. On the following page we will take a closer look at Druckenmiller’s take on Amazon and Netflix, Inc. (NASDAQ:NFLX). The Shoddy Results That Have These Four Stocks Plunging Today Here’s Why Investors Are Bailing On These Four Stocks Today What’s the Deal With These 4 Slumping Stocks? Billionaire Ken Fisher’s Top Healthcare Stock Picks Why These Four Stocks Plunged on Tuesday Why Are Shares of These Companies Surging Today?